I was wondering if anybody here uses an Android phone? Have you rooted it or done any modding? I am personally using an HTC Droid Incredible on Verizon and I love it. You kidding, I'm still using my Razr V3 . That was certainly a great phone at the time. I never had the original but I had a RAZR2 V9 a couple years ago. That's good to know that there are still some kicking around these days. That shows how well built they were made. on one hand, its seriously the most powerful phone I have ever seen.. (sure better phones will come out soon).. I can talk on a bluetooth headset to my friend, while surfing my computer at 4G speeds using the phones Wifi AP (Wireless Tether).. all while streaming Pandora from either my phone or my computer, and my phone sits nicely in its desktop craddle. on the down side, I am are forced to using a semi-buggy Android 2.2.1 leaked test release, because Sprint and Samsung have still not released Froyo for this amazing phone. It should have 2.3 already at this point, but we'll see. i love android.. but I am not going to buy another phone unless it can do everything i can do now, PLUS dual-mic noise cancelling, louder speaker phone, better call quality, and better battery life... you know, the phone "basics". What am I old-fashioned hehe, to make-to receive calls, nothing more hehaheha, where's billy and tex? Isn't cyanogenmod released for the Galaxy S series? You should be able to run the latest gingerbread on it, granted it will be pretty different from what you're used to. Cyanogen is almost like running stock android, so you won't have any of the specific samsung OS/GUI features. Also there was a problem where the 4G radio was not working on the EVO for a long time, though it is now. I'm not sure about the status of the 4G radio development for the Epic. How do you feel about the Samsung interface? Personally I like the stock HTC interface (sense) but I chose to get rid of it and run stock cyanogen anyway. I heard the Motorola Blur interface is abysmal and most people opt to get rid of it. Do you use the qwerty keyboard? I can't stand them, I like using pure touchscreen/swype I guess it's all about preference that's why I've never had a blackberry because I can't stand the tiny keyboard. LOL... Froyo 2.2.1 was finally released for my Samsung Epic 4G on Sprint. kick a$$ apps..even the free ones! gib... are you using ATT or the new Verizon iPhone 4? also, have you ever tried another phone? either Android 2.2+ or Windows 7? I was on Blackberry for a very long time, up-til Curve 8900... but 3G just was too slow on Blackberry.. loved the battery life, and the call quality. next, moved to Android 2.1. Sprint Samsung Epic 4G... speed is incredible.. YES, i have cancelled my home internet, and use my phone.. rooted and as a Wifi AP for my home computer, unlimited data, plan costs about $70 total. however, a few problems. call quality is noticeably worse than my BB. (most people say this once they switch to anything). Also, battery life is barely able to get me through the day. (again, most people switching from BB complain of this). so, I have been looking at Verizon's LTE new phones.. those speeds will be the fastest 4G, until Wimax 2 arrives for Sprint in 201x-2015... and dominates LTE.. CURRENTLY... Sprint 4G Wimax is much faster than Tmobile OR AT&T 4G network... the reason is.. ATT and Tmobile are not actual true 4G networks, and are only "claiming/marketing" to be 4G because their speeds are "substantially better than 3G" (you can look that up on wikipedia). BUT, true 4G, such as Sprints 4G or Verizons LTE 4G, blow ATT and Tmobile away. *Granted, ATT plans to upgrade parts of their network in few years to LTE.. but only in parts. anyway, point is, I need a solid work phone, good call quality, good battery life.. and I want to be able to use my phone as my home computer's internet (saving me $20 a month). I realize iPhones are lagging behind in technology.. and are still very slow (only 3G)... but I am very interested in how all of these options compare and how they work for everyone? Well I also used BB for quite some time. The overall build quality, call quality, and battery life is definitely better. But I think RIM has really fallen behind in technology and is not able to keep up with the same hardware improvements that are available on Android phones specifically. The browsing experience on BB is quite awful even on their newer phones. I think the presence of Android has also forced Apple to stay in the hardware game, improving resolution, camera, processor, RAM, etc. If you're already using the Epic with 4G/WiMAX I don't think you will really get much more by trying anything else. 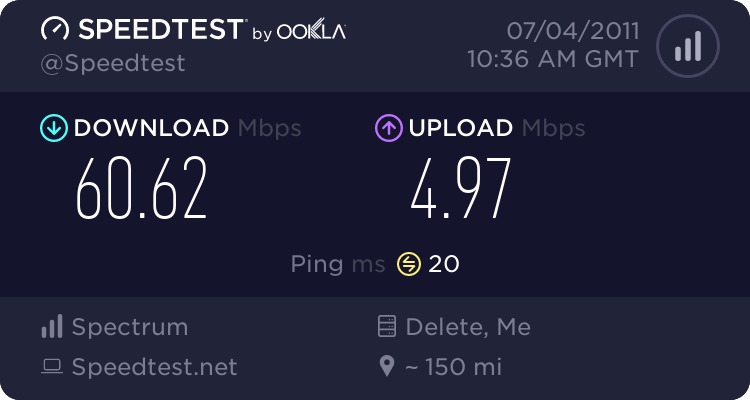 I agree completely that AT&T and T-Mobile's pseudo-4G is no good right now, and Verizon's LTE and Sprint WiMAX is currently the best way to go. AT&T will not have LTE for quite some time. I heard that Sprint wants to switch to LTE now (perhaps buyer's remorese) so I'm not sure what their future is going to be like exactly. The Thunderbolt 4G looks like an excellent phone it's too bad that it doesn't have dual cores or better upgraded hardware. While the Motorola Atrix 4G has slightly better hardware I'd probably avoid Motorola at this point because of the lack of customization and hacking availble due to the locked bootloaders. HTC is the way to go, IMHO. Using 4G with tethered hotspot is definitely a good idea and could certainly be useful for everyday computer internet usage. I'm not sure if verizon's LTE will be any better in terms of speed but it all depends on your current location and signal strength. Hopefully there will be some benchmarks soon comparing the two. Verizon's Thunderbolt 4G LTE does look interesting... except, it is basically an LTE version of the HTC Evo on Sprint (nearly identical phones). But, from what I can tell, the Verizon Motorola Bionic will actually be the better phone. It has dual cores CPU, "DDR2" ram.. not Flash RAM that all other phones have (faster RAM = good), and the resolution will be higher (960 x 540), 16GB onboard storage, and a 1930mAh battery.. and will be upgraded to Gingerbread soon after launch (if its not ready by launch time). &nbsp;Downside is that it will be harder to make ROMs for it since the bootloader will need to be cracked, but it has been done on other moto phones, so I doubt it will really be that much of a problem. Also, Verizon's LTE is faster than Sprints WiMax... but I'm readying reports that Clearwire/Sprint are already testing LTE that is faster than Verizons, and they could be rolling out the network as soon as 3QTR 2011, and phasing out WiMax.. so things could get interesting. If that is the case, then I think I will stick with Sprint and not switch to Verizon. Sprint is cheaper, and if its faster too.. well thats even better. Yeah that's true sprint is phasing out their wimax and starting LTE but I have a feeling Verizon's LTE will be superior and have better coverage since they had an earlier start and also Sprint wasted money with their Wimax network. The Bionic is the phone that I meant, not the Atrix (that one was AT&T). The Thunderbolt actually has a newer version of the snapdragon than the Evo but you're right it's still nothing compared to the specs that the Bionic has. I personally care more about modification than hardware specs so if I had a choice between the thunderbolt and bionic I'd go with the HTC, but I would completely understand if somebody chose the Bionic instead. We don't really know what the pricing scheme for the Verizon's LTE network will be yet but I agree completely most likely the Sprint service will be cheaper, especially with that excellent simply everything plan that they have. Nice chart though at least I know now that the verizon's LTE network is faster than sprint's wimax. Coverage is a huge problem though, since everyone's 4G is so damn spotty right now. I'm in Canada, so I am through a company called Rogers, which I believe is affiliated with AT&T in the US..not sure..and no..I've always used apple as far as smartphones.. I've always liked them.